In general, you can use and visit our Web Site without submitting any personal information; however, in order to utilize and access certain features, you may need to submit your personal information. "Personal information" refers to any information that you provide in connection with your use of our Web Site by which you can be personally identified. Personal information may include but is not limited to such things as your name, street address, telephone number, date of birth, e-mail address and any other information which might reasonably be used to identify you. We only obtain personal information from you when you submit it to us or provide it on our Web Site, which requires it in order to allow you to register, subscribe or take advantage of certain features, functions, services, activities, and promotions on our Web Site. Best Price Contacts collects information about its customers both during the order process and as customers navigate the Web Site. This information will be used to process your order and deliver it to you in a timely fashion. For example, when you place an order online, we ask for your name, zip code, email address and telephone number in order to place the order and contact you if we need to. If you choose to participate in our survey, you have the option of providing us with personal information such as your name, telephone number and email address so that we can respond to any complaints and improve your shopping experience. You also may choose to contact us regarding career opportunities, customer service issues or questions about this site, and Best Price Contacts will use your personal contact information (e.g., email address) to help respond and for customer service purposes. 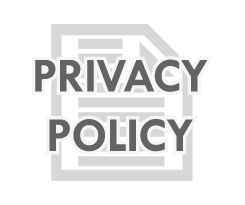 Please note that you may not be able to use some features and services of our Web Site if you choose not to provide your personal information when requested. Best Price Contacts also routinely collects statistics from your browser or device on site usage patterns through web logs, web beacons and third party service providers. As is true of most web sites, we gather certain information automatically and store it in log files. This information may include Internet protocol (IP) addresses, device ID and type, browser type, Internet service provider (ISP), referring/exit pages, the operating system used by your device, date/time stamp, your mobile device's geographic location, and/or clickstream data. These statistics are not intended to relate to any particular individual. Instead, they are used internally to judge the effectiveness of Web Site features and content. Some real-time information is occasionally used to automatically suggest a product to a customer based on that customer's observed preferences. The only Best Price Contacts employees with access to your information are those employees who need the information to do their jobs. All employees are educated about Best Price Contacts policies and practices in regard to safeguarding customer information, preventing its unauthorized access, use or disclosure and ensuring its proper handling. We provide existing customers with the opportunity to "opt-out" or choose to be removed from future mailings (both email and direct mail) from Best Price Contacts. Opt-out information will be included with any non-personal or non-essential message sent to prior customers. A personal or essential message is one that would relate directly to the particular customer's order or appointment. You may opt-out by sending an email to service@bestpricecontacts.com requesting that you be removed from certain types of future mailings or by calling us at 1-800-822-6853. Best Price Contacts may sponsor or host contests or drawings from time to time. Some contests may be offered in conjunction with a third party sponsor and Web Site users will be notified at the time of the contest as to whether a third party sponsor is involved and whether the third party will be receiving the user's personal information to send promotional communications. The Web Site user can then choose whether to enter the contest or not at that time based on the terms and conditions associated with that particular contest. Our Web Site offers publicly accessible blogs or community forums. You should be aware that any information you provide in these areas may be read, collected, and used by others who access them. To request removal of your personal information from our blog or community forum, contact us at service@bestpricecontacts.com. In some cases, we may not be able to remove your personal information, in which case we will let you know if we are unable to do so and why. We display personal testimonials of satisfied customers on our site in addition to other endorsements. With your consent, we may post your testimonial along with your name. If you wish to update or delete your testimonial, you may contact us at service@bestpricecontacts.com. Best Price Contacts may verify your prescription information provided with your order with your doctor or eye-care provider as required by Federal Law. For more information about how your Personal Health Information is protected, please see our HIPAA Notice. Best Price Contacts is committed to doing its best to maintain the security of all information collected on our Web Site. All transactions occur through our secure server, protected by a DigiCert® Secure Site Certificate. That means that we use encryption to secure information sent from your computer to our servers. In addition, credit card numbers and other sensitive information are encrypted in our database(s) to provide a second layer of security for your private information. When credit card information is transmitted online, Best Price Contacts uses Secure Sockets Layer (SSL) server software to prevent unauthorized access to the information. SSL is a highly sophisticated method of scrambling data as it travels from your computer to our Web Site's servers. You can identify the secure connection by looking for a locked padlock icon at the lower portion of your browser window. If you ever need to update or delete any information on file with Best Price Contacts, you may call us at 1-800-822-6853 or email us at service@bestpricecontacts.com. If you need to update your information when re-ordering, you will have a chance to make changes to your payment information, shipping and billing address(es) at checkout. California law permits our users who are California residents to request and obtain from us once a year, free of charge, information about the personal information (if any) we disclosed to third parties for direct marketing purposes in the preceding calendar year. If applicable, this information would include a list of the categories of personal information that was shared and the names and addresses of all third parties with which we shared such information in the immediately preceding calendar year. At this time, Best Price Contacts does not disclose your personal information to any third parties for their direct marketing purposes, only to assist Best Price Contacts in its own marketing efforts, so this requirement does not apply to us. In addition, under California law, web site operators are required to disclose how they respond to web browser "do not track" signals or other similar mechanisms that provide consumers with the ability to exercise choice regarding the collection of personal information of a consumer over time and across third party web sites, to the extent the operator engages in that collection. Best Price Contacts does not respond to any such "do not track" signals, as no one do not track standard has gained consensus. This law also requires web site operators to disclose whether third parties may collect personal information about their users' online activities over time and across different web sites when the users use the operator's web site. Best Price Contacts does not knowingly permit third parties to collect personal information about an individual consumer's online activities over time and across different web sites when a consumer uses our Web Site. The California Transparency in Supply Chains Act of 2010 requires that applicable manufacturers and retailers such as Best Price Contacts disclose their efforts to eradicate slavery and human trafficking from the supply chain. Best Price Contacts is committed to conducting business in accordance with ethical, legal and socially responsible rules and principles. These standards and commitments are outlined in the Company's Code of Conduct (the "Code") which every Best Price Contacts Associate is trained on upon hire and is distributed annually during the course of their employment. Consistent with the Code, we respect the personal dignity of every individual and comply with all applicable human rights laws. Failure to comply with the standards of the Code subjects violators, regardless of position, to disciplinary action up to and including termination of employment. With respect to our supply chain partners, we expect the same commitment to high ethical standards and compliance with applicable laws, as detailed in the Code. Best Price Contacts monitors the standards of our supply chain partners for quality, safety and employment standards by conducting annual scheduled on-site audits of our major vendors and laboratory manufacturers. When entering into written contracts with suppliers, Best Price Contacts requires suppliers to comply with all applicable laws which include those that prohibit slavery and human trafficking. Failure to comply with all applicable laws subjects supplier to breach and possible termination of contract. At this time Best Price Contacts does not engage independent auditors or require separate verifications/certifications from its suppliers relating to human trafficking and slavery. While Best Price Contacts believes it conducts its business with suppliers that maintain high ethical standards, we are continuously evaluating additional programs as it relates to combating the tragedy of human trafficking and slavery. Warning: Eyewear products sold on this website can expose you to chemicals including Metallic Nickel, which is known to the State of California to cause cancer, and Bisphenol A, which is known to the State of California to cause birth defects or other reproductive harm. For more information go to www.P65Warnings.ca.gov.